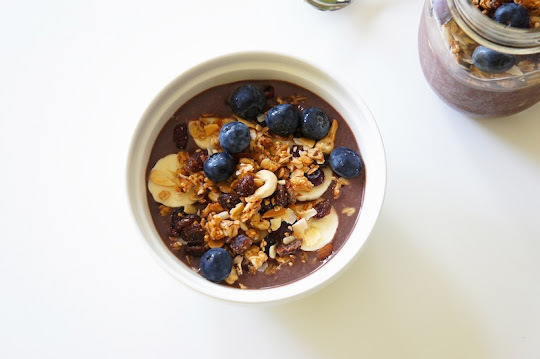 This yummy and not too sweet Acai Rio Bowl makes a wholesome breakfast or as mid-afternoon snacks. It's easy to blend together. Pour them into a bowl or Mason jar and serve with your favorite granola, banana slices, and some berries. Blend the frozen Acai, banana, and almond milk. 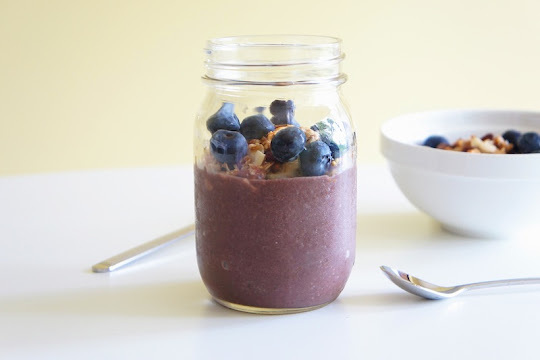 To serve, pour the blended Acai into two bowls, or mason jars, and top with slices of bananas, granola, and some blueberries. Se ve muy tentador una verdadera exquisitez,abrazos.